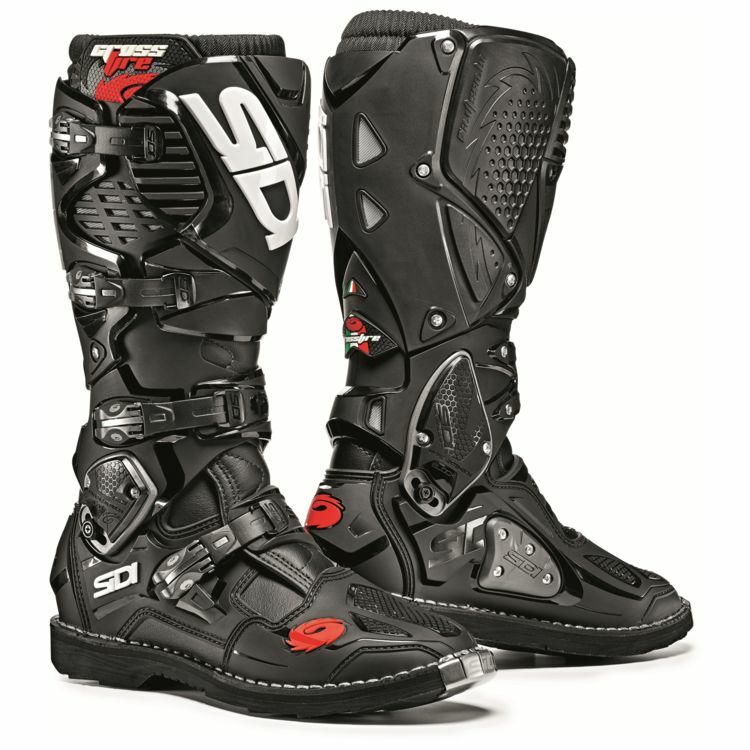 The SIDI Crossfire 3 TA is for those riders who prefer that feel of a sewn on sole. The Crossfire 3 TA is identical in features to the Crossfire 3 SR Boot with the exception of the sole. The TA sole is suited for riders who find they walk in their boots a bit more, and whose sole is made of anti-skid rubber that can be replaced by a cobbler. The Crossfire TA sole has excellent rear brake feel. These are fantastic boots. amazing amount of ankle flex and brake feel for such a protective boot. I can only compare them with the Alpinestars Toucans, since that is the only other boot I've had. The Toucans had a lot more padding, but were a lot bulkier and had less flex and less feel. They were great boots, but I am really liking the more compact design, better protection, and better feel of the Crossfires. They are certainly a more expensive boot, but I think well worth the price for the protection you get. Top notch! This was my second pair of Sidi Crossfire boots. This was an upgrade from a Crossfire pair I bought several years ago. I bought the same size as my previous pair that were a superb fit, but these boots are too small and actually were painful to wear on one foot. Sent them back.